I am delighted that you have joined up to receive the 7 Deadly Sins of Presenting as over the next seven days we are going to be working with you to ensure that if you are committing any of the deadly sins that we can help you to overcome them and provide you with the tools, techniques and skills you need to become a confident and effective presenter. Each day for the next seven days I will be sharing one of the seven deadly sins with you however even better than that I will also be sharing with you one of the seven critical success steps that you must take to ensure that you no longer commit the deadly sins of presenting and instead become a confident and effective presenter. The first sin that I would like to share with you is Eye Control and what not to do with your eyes when presenting. To demonstrate what happens when you don’t have eye control I have recorded a short video which you can play below so that you can see for yourself what it looks like when a presenter does not control their eyes and connect with their audience. I have also recorded another short video for you to demonstrate how it should be done so you have the sin and the solution. Before watching the videos and developing the first critical step to creating stunning presentations let me just spend a little time explaining why the seven steps are critical to your success and introduce you to the single biggest obstacle that prevents perfectly capable, energetic, enthusiastic, qualified, in many cases highly talented business people from becoming good, even great presenters? Unfortunately it is ‘fear’. The fear of failure, more than anything else, holds people back. It paralyzes action and sadly it makes ‘failure’ inevitable. I’m sure you’ve read this before, ironically ‘FEAR’ stand for; False Expectations Appearing Real. Without exception, the fear of presentations is unfounded; it is the fear of failing (at anything) that holds us back. Alas the fear of failing at presentations is compounded by the fact that the failure is in ‘public’, in front of an audience! So why is the acceptance of others, and the perception of others so important? How can we ensure that our audience, colleagues or peers describe our presentation positively? When you give a presentation (particularly externally to clients or prospects) your audience really doesn’t know you that well. They know of you, your name, your company, its products and services, but they don’t know YOU (the individual) very well. Unfortunately, as we know, it takes just a few seconds for most of us to ‘judge’ another person, commonly known as ‘first impressions’. But exactly what are first impressions? And why are they so important? Well, think about it. When we witness someone present (particularly for the first time), all we have to ‘judge’ them on is generally what we SEE and what we HEAR. Don’t underestimate how important this little observation is. We know nothing of the person at the front of the room, except for what we are looking at and what we are listening to. Other senses are of course working on overtime to get an impression of this person; our sense of smell (perfume, deodorant) touch (handshake), not forgetting the ‘gut feel’ or ‘sixth sense’. All these senses contribute to forming an impression of you, the presenter. Initially however, there are only two predominant senses that are engaged, sight; what we see and sound; what we hear. You may be familiar with Albert Mehrabian’s Impact of Communication model. Mehrabian states that how you Look accounts for 55% of your impact, how you Sound accounts for 38%, and what you say (the actual words) account for just 7%. In other words how you look and sound accounts for a massive 93% of the impact you give. This is particularly true when giving presentations. Together, they represent the Seven Critical Steps to ultimately giving stunning presentations! 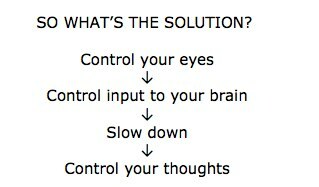 Very simple, yet difficult to implement and practice well. I assure you, master these 7 critical presentation techniques, and not only will your fear of failure diminish dramatically, you are well on your way to becoming a world-class presenter. Do not fall into the trap of thinking this is too simple! Remember, I’ve seem these techniques work all over the world, any country, religion, culture and educational background. These skills work, and they work well. Let’s take each at in turn. What we are LOOKING at and what we are LISTENING to determine our perceptions. Let’s take these in turn. Put yourself in your audiences’ place. When you are watching a presenter, what do you look at most? Their feet hand, body face, or eyes? The vast majority of people would say their eyes. Now imagine you are the presenter, where do you think you should be looking when you present? The floor? Out of the window? The ceiling? The back of the room? Of course not, you should be looking at every individual’s eyes. If you are nervous about speaking in front of a group, one of the simplest and easiest way to reduce your nervousness and anxiety is to look at people! Here’s why. The movement of your eyes controls the visual input that goes to your brain. Your eyes are simply receptors, we don’t actually ‘see’ with our eyes, we see with our brains! When you look at an audience, your instinct is to move your eyes rapidly to take-in all you can. You try to see everyone at the same time. This of course is physically impossible. You are already nervous (a small amount of nerves is good by the way) it keeps us sharp and focused. It’s simple biomechanics. The challenge with trying to look at everyone at the same time is the amount of visual input is too high. Just like your brain, a computer likes to process information sequentially, not simultaneously. Your brain likes focus, and clarity. What normally happens when you ask a computer to do too many tasks at once? The capacity of the computer is reached, and it crashes, or freezes! In human terms, this is when we ‘go blank’, and freeze. We can’t think of what to say next, and stare aimlessly at anything – desperately trying to recover the situation. A horrible feeling (yes, I’ve been there!). However, if you ask a computer to do only one task at a time, it will happily give you the results quickly without freezing. The same with your brain. It is not a sign or your IQ, or your intellectual capacity. Particularly when you present, getting into the habit of organising your thoughts one by one, sequentially and looking at one person at a time will allow your brain to think clearly, and focus on each item as it comes up. Watch the video below to see an example of a presenter and the impact it creates when you do not have good eye control…. Eye-Control, simply stated, means to look at and talk to one person at a time. By making eye contact with one person and delivering one thought to that person, you avoid overloading your brain with visual input. Eye-Control is mastered in three easy steps. Pause and breath before you move to the next person to deliver the next thought. Eye control is the first critical step to becoming a confident and effective presenter. Tomorrow we will be looking at the second critical step so look out for tomorrow’s email. Thanks very much for this first skill. Although it appears simple I think it is hard because prominent in my mind when looking at people is the way I was brought up that it’s rude to stare. This coupled with feeling shy as a member of the audience and not wanting to make too much eye contact with a speaker when they are not delivering a good presentation puts me off wanting to make too much eye contact. I guess it’s all about getting the balance right. It was also good to be reminded how important visual and auditory impact is. Hi Kendall, I’ve certainly heard “it’s rude to stare” before. In a business presentation context, eye-control and making eye-contact is critical to develop the trust, rapport and relationship with your audience as quickly as possible. Yes, you’re absolutely right though, it is about getting the balance right. Thank you for your feedback and comments, they’re very welcome. thank you a lot! it is really very good,and useful for teaching. Thank you Roula, it’s my pleasure. I’m pleased you found it so useful. Thanks Laith. A good reminder of a very simple but effective tool. You’re very welcome Caroline, it’s my pleasure. Another six to go! Enjoy. Thanks Laith – this technique has been hugely useful to me from the time that I learnt it from you at one of your half day seminars. I’ve used it both professionally and personally, and found my confidence to have greatly increased when speaking to a group, feeling less rushed, more assured, etc. It takes practice, though I find myself doing it more naturally than before. Thanks again! Dear Matthew, thank you for your feedback. It’s absolutely true that these skills are indeed ‘Life Skills’ that can be used both at work in a professional capacity or socially. Growing your confidence exponentially through these simple, but effective techniques is so valuable. As you so rightly say; not only do YOU feel less rushed, more self assured; the ‘perception’ of your audience (which is key) is also the same; you will appear more confident, self assured, create a great first impression, and develop the rapport and relationship with your audience quickly and more effectively which also makes you a far more engaging and interesting speaker. Hi Laith…….they are certainly very useful tips and sometimes forgotten, especially when presenting to your peers is not something that I do regularly. It also goes hand inhand with the amount of preperation and confidence in what you are delivering, is both interesting, engaging and accurate to all who are present at the time. Once again thankyou and look forward to the next 6. Absolutely true, being an engaging speaker is critical. I would also add clarity, confidence and credibility are key to influencing your audience to action. The next 6 video’s on their way… enjoy! !